All college students worry about paying for their higher education. In addition to scholarships, grants, and loans, on campus part-time jobs help students finance their higher education. Students who are receiving financial aid may qualify to participate in the Federal Work Study (FWS) Program. A student’s eligibility is based upon their financial need as determined through the Free Application for Federal Student Aid (FAFSA) and is a part of their financial aid award. FWS offers financial aid recipients with subsidized part-time employment opportunities on campus, with a few positions at community service sites. While FWS positions at HonCC are only available to financial aid recipients, ALL HonCC students who are enrolled/taking six or more credits, and have a minimum GPA of 2.0, are eligible to work on campus. A current list of on-campus jobs may be viewed via The Student Employment & Cooperative Education (SECE) System. 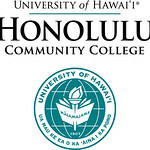 Students may use their UH username and password to view a current list of vacancies. Students should look to see if the posting is for the FWS Program only, or open to all students (UH & FWS). To learn more about Financial Aid and the Federal Work Study Program, visit the Financial Aid Office on the 1st floor of Building 5.